People who want to run their own businesses often explore franchise opportunities. However, before entering into a contract with a franchisor, potential franchise owners are encouraged to seek the advice of an Arizona franchise attorney. As Phoenix franchise attorneys, we can advise clients of their rights and responsibilities before they sign any legal documents. In fact, we can assist our clients in understanding what is expected of them as owners of a franchise. Franchise contracts are usually long and complicated. They can be confusing. As franchise lawyers, we can assist our clients in understanding what their contract obligations will be as franchisees. Franchise laws vary from state to state. What is legal for franchisors in one state may not be allowed in another state. This can impact an owner if, for example, the franchisor sells the company to another entity, declares bankruptcy or just decides to be aggressive in enforcing the franchise agreement. The owner could lose his or her livelihood if that individual does not have a franchise lawyer to review the contract beforehand. Without legal counsel, business owners may not know what steps to take to determine whether or not their contract has been violated. Likewise, we can help ensure that our clients’ contracts are not terminated prematurely or without a substantial reason. If franchisors attempt to defraud our franchisee clients, we can take legal steps to ensure that they are compensated and, if necessary, reinstated as owners of their businesses. We recognize that a franchisee’s earning potential depends on the legal enforcement of the franchisors’ contractual obligations. Understanding what equipment you must purchase. How much of your profits are shared with the franchisor. What risks you are assuming as a franchisee. 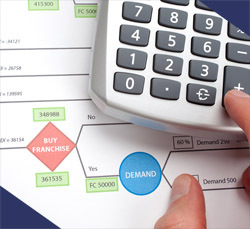 Evaluating the value of the franchise business. What Do Franchisors Have To Disclose To Franchisees? Franchise laws vary from state to state. 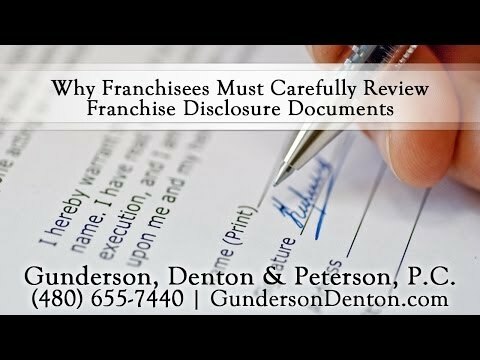 For that reason, it is advisable that potential franchise owners obtain legal advice from a franchise attorney before signing any documents.